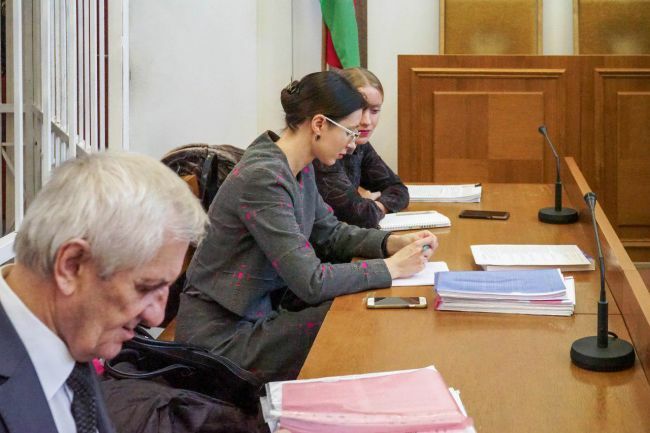 Monday, on January 22, Minsk City Court began hearing arguments in the case of pro-Russian political writers Yuri Pavlovets, Sergey Shiptenko and Dmitry Alimkin. On the first day of pleadings, the prosecution officially refused to support the charge based on Article 233 (illegal entrepreneurship) against Pavlovets and Alimkin and demanded five years of imprisonment with a three-year deferral of punishment under Article 130 (extremism). Judge Igor Lubovitsky set the order of hearing arguments and gave the floor to Prosecutor Alexander Korol. The latter briefed on the case, reaffirmed that it was initiated without violation of laws and that experts prepared a competent and impartial expert opinion on it. The prosecution left unchanged the charge brought against the defendants based on Article 130, retaining Clause 3 – the phrase “by a group of persons.” According to the prosecution, the defendants acted in a group, since they coordinated their articles with “unidentified persons,” who, in turn, made the articles publicly available. As to Article 233 Pavlovets and Shiptenko are charged with, the prosecutor refused to support it. A detailed analysis of money transfers to personal accounts of Shiptenko showed that most of transfers were made by persons who wished to publish their articles in New Economy private scientific magazine where Shiptenko is the editor-in-chief. The magazine operates on donations. Materials of the criminal case have confirmed that he transferred the money to the settlement account of the magazine and did not misappropriate them. As to Pavlovets, Alexander Korol pointed at some new circumstances that have emerged in the case - Pavlovets was registered as an entrepreneur, so cannot be charged with illegal entrepreneurship (even if receipt of professional fees is deemed as such). Prosecutor Korol recalled that “due to high public danger,” the article (130.3) the defendants are charged with provides for 5-12 years of imprisonment. The prosecutor emphasized the positive personal and professional characteristics of the defendants, no previous convictions, as well as such extenuating circumstances as minor children depending on the defendants, and aggravating circumstances such as commitment of crime for financial gain (the professional fees for articles – EADaily’s note), and demanded recognizing Alimkin, Pavlovets and Shiptenko as guilty in deliberate actions aimed at kindling national strife. “Based on Article 130 Clause 3 of Criminal Code of the Republic of Belarus, each defendant should be sentenced to five years of prison. In accordance with Article 77 clause 2, considering that the defendants committed a crime that is not connected with an attempt on human life or health, I ask you to defer punishment for three years, consequently cancelling arrest as measure of restraint and setting defendants free,” Korol said. The prosecutor suggested returning the confiscated and arrested property to the defendants, except the items that were deemed as material evidence (notebooks and memory sticks). Talking to EADaily, Sergey Shiptenko’s lawyer Maria Ignatenko commented on the punishment demanded by the prosecution. What does the sentence with deferral of punishment mean in practice? As deferral term expires, the Corrective Services Department submits documents to the court. If the person commits no new crime or administrative offence within that period (a more serious crime than, for instance, exceeding the speed limit), the Court confirms this on the basis of the materials submitted by inspectors. In such case, the sentence is not enforced and the person is deemed having no conviction. In what cases shall a person be imprisoned after expiration of deferral period? If the person deliberately commits a crime, for instance, hits someone with fists for several times, then he may be punished. Is movement of the person limited during deferral period? The given issue is regulated by a relevant Corrective Services Department officer who controls his behavior. May the judge demand a stricter sentence than the prosecutor asked? According to the criminal procedure legislation, this is quite possible, but is rarely applied in practice. Note that the prosecutor demanded the mildest possible form of punishment under Article 130 Clause 3 that provides for 5-12 years of imprisonment. That is, conditional non-application of punishment is impossible in this particular case. Deferral is possible, which is worse than conditional non-application of punishment, indeed. When conditional non-application term expires, the process ends, whereas deferral implies court ruling. However, this is the same, as a rule. This is a formal action. Is the Court authorized to reclassify the sentence? For instance, Clause 1 of Article 130 related to group actions? The Court may choose one of the following three options. The first and the most preferred one is acquittal. 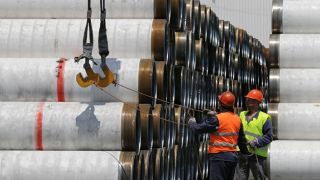 The second is re-classification– from the third to the first clause that provides for alternative sanctions. The third option is to accept the Prosecutor’s suggestion. If the third clause is retained, the judge may apply only Article 70 – the lowest level of punishment, as the prosecutor asked for the mildest punishment possible under Article 130 Clause 3. However, considering that deferral is possible, the court, as a rule, does not apply Article 70. There is another, fourth option too – change of classification of the crime elements. What are the grounds for applying Article 70? Positive characteristics, including confession, which is considered as positive behavior that contributes to the investigation. In this particular case, the defendants do not confess. We still expect the court to change classification and shift to Article 130 Clause 1. We have all the grounds to expect this, at the same time we do hope for acquittal. As EADaily reported earlier, trial over pro-Russian political writers Sergey Shiptenko, Yuri Pavlovets and Dmitry Alimkin started in Minsk on December 18, 2017. In their articles, the journalists harshly criticized the current rapprochement of Belarus government with the West in prejudice to integration with Russia, as well as its flirting with radical nationalism. For those articles, the political writers have faced such charges as “kindling ethnic strife by a group of persons” (in liaison with “unidentified persons” – editors who published their articles), which provides for 5-12 years in prison.